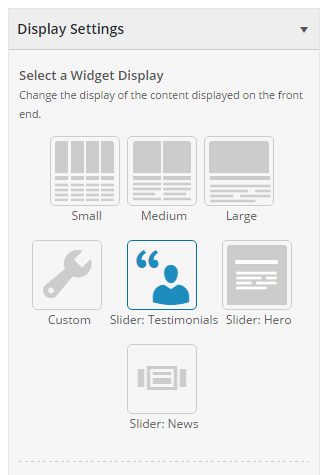 With Baton, Conductor, and the Conductor Slider add-on activated Conductor will get three new display layouts Testimonials, Hero, and News. 1. From the WordPress Dashboard navigate to Appearance > Customize. 2. 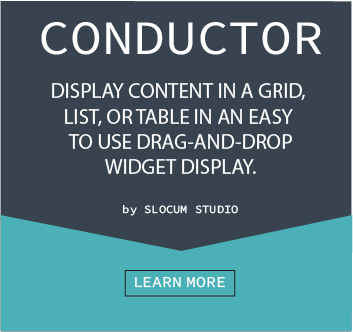 Create a Conductor widget. Note: If you are unsure as to how to create a Conductor widget look here. Note: Your Conductor widget MUST display multiple posts or pages. 3. Under the Display Settings of your Conductor Widget you can select whatever layout you want. 4. Click the Save & Publish button in the top right corner in the Customizer sidebar. There are several ways for you to customize your Conductor Slider. Below are just a few ways for you to customize them.